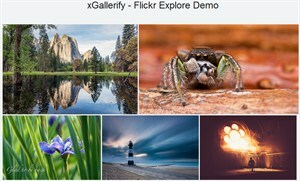 jQuery nanoGALLERY is a jQuery plugin that integrates with fancybox plugin to create responsive and touch-friendly image galleries with lightbox and navigation support. 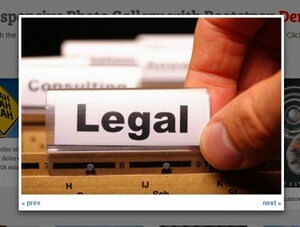 The plugin can display also album and images stored in Flickr or Google+/Picasa. The inspiration comes from the Hotchkiss website where an isometric, scrollable grid is shown with some cool hover effects. A scrollable grid just like the one seen on that site, with some hover effects that involve random rotations. The second demo shows some ideas for “static” grids that are not scrollable but that serve more kind of a decorative purpose. 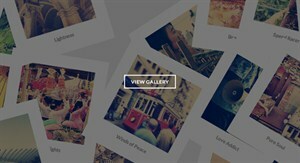 Filterizr is a jQuery plugin that sorts, shuffles and applies stunning filters over responsive galleries using CSS3 transitions. Features: Pluggable look & feel (write your CSS effects in the box on the right and hit Filterize!) , Performant: optimized for smooth experience on mobile devices, Lightweight: around 8.5kb, Responsive, Open source. A set of responsive Bootstrap Modals and Popups those contain bootstrap carousel, images gallery, login, signup and contact us forms, subscribe and search bars, different types videos in modal etc with new features. 100% Responsive And Mobiles friendly, 20 Ready modal style, 5 Colors Schemes, 3 Background Colors Schemes, Built With Bootstrap 3.x, 26 Animation Effects, Different Types of Sliders in the Modals Touch swipe Enabled In Sliders. Instagram Element is a premium Instagram plugin for bloggers, photographers, models, and anyone looking to increase their presence on Instagram. 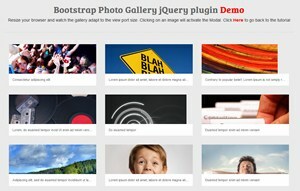 Based off the popular Instagram Journal plugin, this jQuery plugin version allows you to easily manage 50+ flexible options and create the perfect display with just a few clicks. 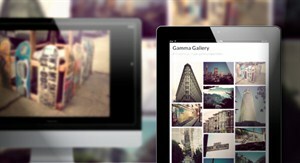 Furthermore its’ mobile, responsive design allows you to showcase your photos beautifully on any device. 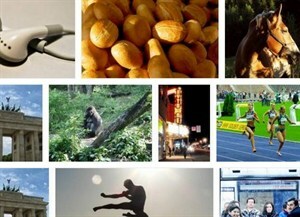 mb.thumbGrid is a jQuery gallery plugin used to display a grid of thumbnails as a slideshow with fancy CSS3 transitions. When you click on a thumbnail, the high resolution image will be displayed in a responsive lightbox that allows you to navigation through images with arrow controls. 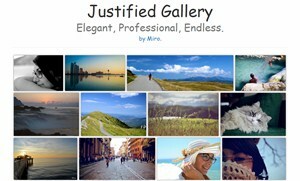 This is a jQuery plugin which allows you to create responsive, infinite, and high quality justified gallery of images. A common problem, for people who create sites, is to create an elegant image gallery that manages the various sizes and aspect ratio of images. 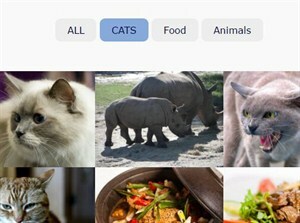 Flickr and Google+ manage this situation in an excellent way, the purpose of this plugin is to give you the power of these solutions, with a new fast algorithm. 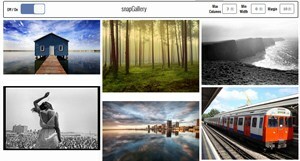 snapGallery.js : jQuery Responsive Galleries snapGallery is a super-simple jQuery plugin that converts your unordered, haphazard, differently sized images into a beautiful gallery. 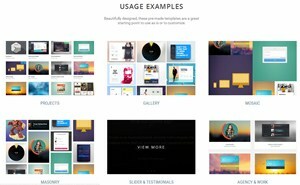 Completely responsive and customizable, snapGallery allows you to select the spacing between images, the minimum width allowed before stacking and the maximum number of columns, with more options. 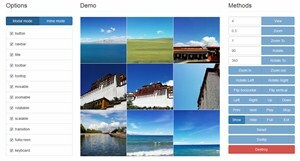 Masonry.js is an ultra-light (~1kb minified) jQuery plugin used to create responsive, cross-platform, tiled gallery/grid similar to the Masonry library. Works with Tuupola's image lazy load plugin. 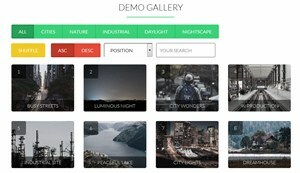 Create your unique artistic spectacular gallery for your photos with variety of beautiful animated hover effects, using templates and examples, color schemes, svg and canvas photo filters and other tools. 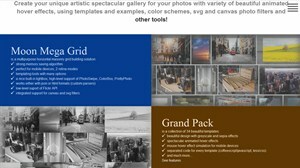 integrated support for canvas and svg filters, perfect for mobile devices, simple templating tools, built-in lightbox with retina support, 2 retina modes, memory saving algorithm, works either with json or html formats. 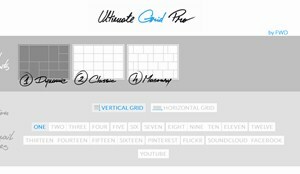 Ultimate Grid Pro is indeed the ultimate responsive multimedia grid builder packed with an insane set of features that allows to create unlimited, filterable/sortable multimedia portfolios, product swhowcase, image galleries with unlimited possibilities. 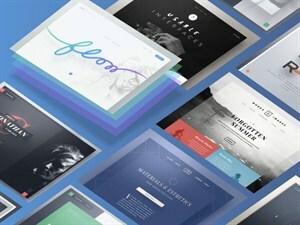 It includes five grid types with vertical or horizontal layout variation (dynamic, classic, masonry, flexible and infinite) that allow to display various multimedia content in a highly customizable way. It runs on all major browsers with support for older browsers like IE8 and mobile devices like iPhone, iPad, IOS, Android or Windows mobile. Responsive layout. 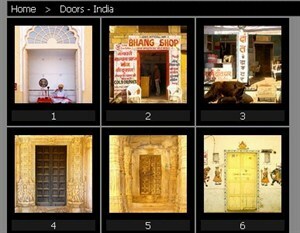 A jQuery based content filter which allows you to filter through a gallery of images with smooth CSS3 transition effects. 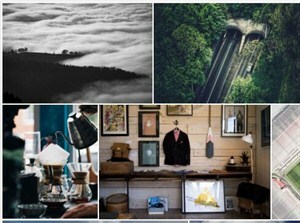 Viewer is a simple jQuery image viewing plugin. Touch Support, Zoom, Rotation, Scale (flip), Keyboard support, Cross-browser support. 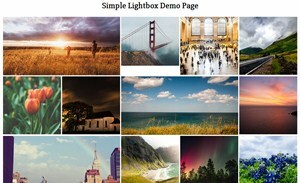 Simple Lightbox is a touch-friendly image lightbox for mobile and desktop with jQuery. Responsive Touch-friendly, Lightweight, Preloading next and previous image, Android, iOS and Windows phone support, CSS3 Transitions with fallback for older browsers, Keyboard support, Easy to install, easy to use. 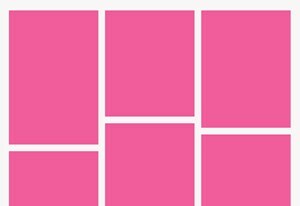 Minigrid : Cascading Grid Layout Minigrid is a minimal 2kb zero dependency cascading grid layout. 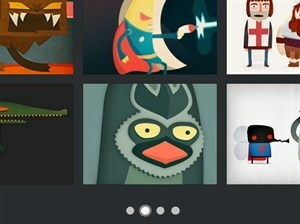 It’s responsive and can be animated. 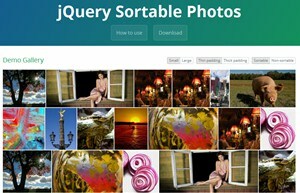 jQuery Sortable Photos is a jQuery UI plugin that can display photos in a responsive, sortable grid. 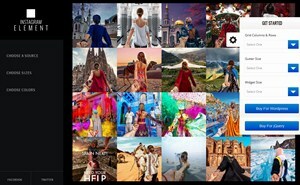 The photo grid is arranged in such a way that the height of the images in each row is consistent, and the images are resized to fill in the full width. The grid can optionally be configured to allow drag-and-drop sorting. flexImages is a lightweight jQuery plugin to create a responsive, fluid and flexible gallery from a set of any Html elements that have different sizes. Includes support for lazy load, and Ajax loading content. ChewingGrid is a CSS grid for card listing design, like videos, tiles, or article lists. It doesn’t require media queries, but it adjusts based on the maximum number of columns, and minimum and maximum card width. 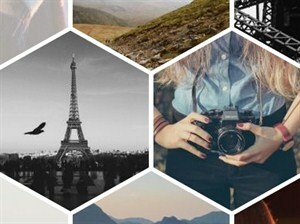 This is a jQuery & CSS3 based responsive hexagon grid layout for your image gallery that uses Geensock's TweenMax for fancy hierarchical timing animations.